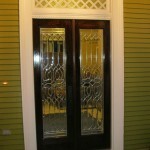 Beveled glass has long been a favored method of enhancing the look and feel of any doorway or sidelight. These windows are created using small glass pieces that are shaped into unique designs and incorporated into a larger sheet, giving the glass an artistic new texture. Because the surface of the glass is made up of different angles, thicknesses, and shapes, the entryway benefits not only from the beautiful designs carved into the glass, but also the prisms of light and glimmer created by these shapes. 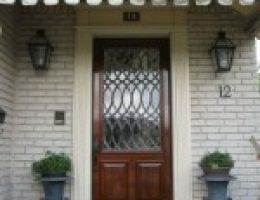 Whether you are looking for a design that is simple or ornate for your Mandeville or New Orleans door, we have you covered. Our selection of beveled glass patterns includes all of the most popular design schemes such as squares, diamonds, rectangles, and teardrop shaped patterns, along with numerous others. 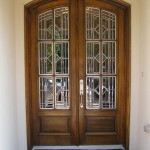 If there is a pattern you have in mind for your door design, there is a good chance that we can make it happen for you. 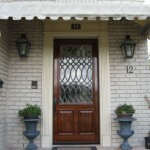 Creating and installing one-of-a-kind custom entryways is our specialty. 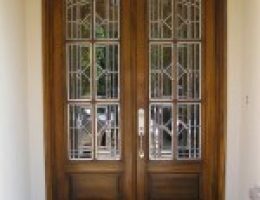 The manufacturing of beveled glass has improved dramatically over the years. These exciting advancements allow for more creativity in the design process, and they also allow for more durable pieces to be constructed. Nearly any design you can imagine may now be beautifully crafted onto a sheet of strong glass. Using modern technology, the clusters of angled and sculpted glass pieces can now be manufactured onto one continuous sheet of thick glass. This eliminates the presence of cracks and seams throughout the window. The fact that it is one solid and thick piece of glass is important for increased energy efficiency for the home, as it is harder for the outside climate to affect the temperature inside, which is another big plus for New Orleans homeowners and decorators. 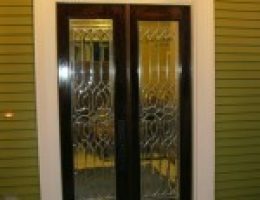 Along with beautiful designs, another excellent advantage of having beveled glass installed to the doors and sidelights of your entryway is the enhanced privacy the glass provides. The glass pieces have varying degrees of translucency, and they provide a considerable amount of light into the house, but the shapes carved into the glass make it difficult to impossible for people to see through the window. Therefore, you benefit from an entryway that feels bright and open, but you do not have to worry about passersby peeking into your home. 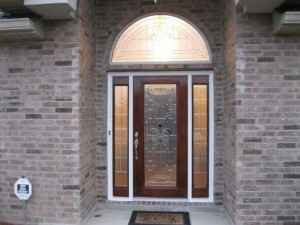 With so many beveled glass patterns available at Doors of Elegance, there is an option that will be perfect for any type of design. Our expansive inventory of patterns includes designs that are both modern and minimalist, along with highly ornate and sophisticated options. There are patterns perfect to complement rustic wooden doors or antique wrought iron entryways, and everything in between. Some patterns incorporate clusters across the entire piece of glass, while others limit the designs to the perimeter of the pane. If you are having difficulty choosing the right beveled glass pattern for your New Orleans or Mandeville home, our team will be happy to help. Simply let us know what your preferences are, and what your goals are for your door design, and we can provide recommendations based on the patterns available and our many years of experience. You can also visit any of our locations in order to receive design inspiration. With our help, your dream entryway will soon be a reality.